I prepared for The Thing, by watching The Thing. 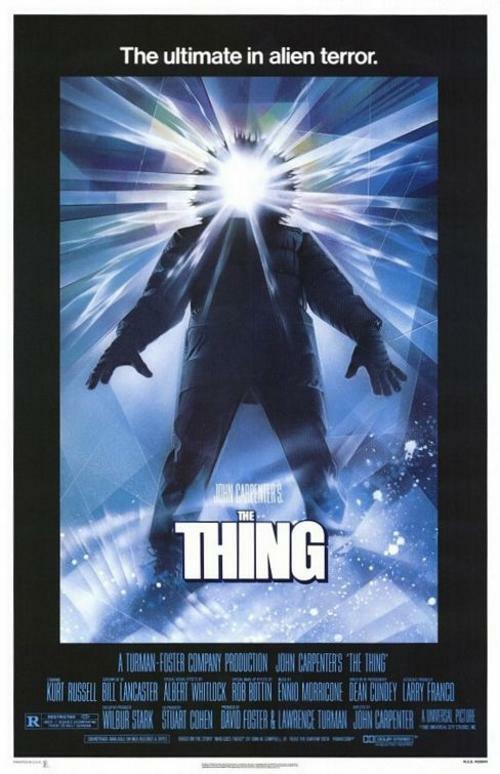 When I say "The Thing," I am referring to the 1982 John Carpenter version of course. 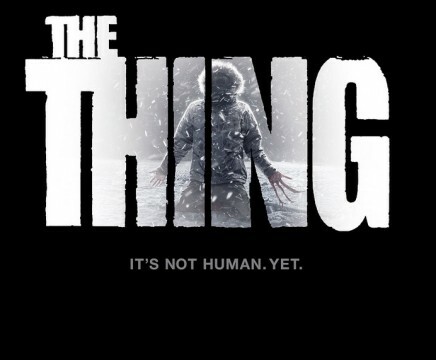 I have not seen the more aged classic, The Thing from Another World, but I am okay with that. While there are many who pine for 1960 and older horror, my love of the genre begins with the 1968 Romero classic, with many of my favorites spanning the 70's into early 80's. You see the concept of The Thing is based on a 1938 short story, "Who Goes There," by John W. Campbell Jr. The 1982 film was adapted by Bill Lancaster, whose only other credits include all of the Bad News Bears films and series from the late 1970's. Bizarre. I love The Thing. I think it was one of Carpenter's finest, and that is saying a lot from the creator of Halloween. Seminal Carpenter for me includes Big Trouble in Little China. 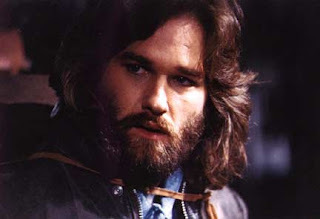 Carpenter pulled some great performances from Kurt Russell, and Big Trouble is no different. See also, Escape from New York. Skip Escape from L.A.
John Carpenter lost his groove in the 90's. If you have ever seen Ghosts of Mars, I'm sorry. I you ever consider it, don't. But lest I digress...I was excited to see this prequel in a part based on my love of the first, but also I am a big fan of both Mary Elizabeth Winstead and Joel Edgerton, most notably from their roles in Scott Pilgrim and Warrior, respectively. So knowing that this current offering was a direct prequel to the Carpenter classic, I had to go in primed. That score is so damn haunting and so perfect for the original, I am pleased to say that they channelled it nicely for this film as well. 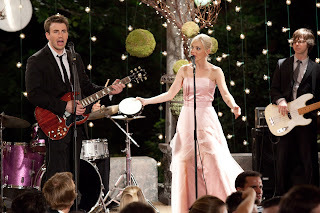 This film serves as a suitable prequel, but it is certainly a lesser movie in general. The first 15 minutes had some of the grit of the original, this film also set in 1982, prequeling immediately the events that took place in the Carpenter classic. Mary Elizabeth Winstead was a suitable lead and she gave an enjoyable performance. The problem is that this film was a carbon copy of the original film from 1982. There was very little difference, other than the gender of our hero, and for my money, I expected more. Granted, one of the great aspects of the original were the practical effects that were exceptionally creative. This film offered a wide range of effects that actually stood up in comparison to the original, which lifted this from a mundane prequel to an enjoyable film. As a fan of the original, I think I was drawn to this film and more apt to enjoy it. It is sitting at 33% on Rotten Tomatoes, but perhaps the higher IMDB ranking at 6.7 of 10 is more fair a score for this movie with a a variety of thrills, decent effects, and a similar storyline to a predecessor in the series. I say check it out. If you haven't seen the original, put it in your queue and give it a run. 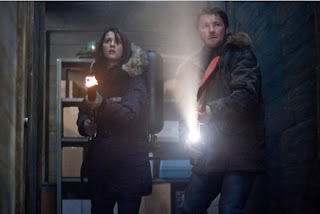 3.5 Horns of 5 for The Thing (2011). 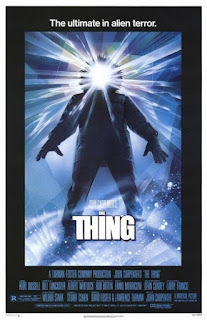 I would support a sequel set after the events of the Carpenter effort that takes elements of both films and creates a new story based in the mythology of The Thing. A few characters seemingly survive the original and both actors are still working...close this series with a bang and give us a new story within this familiar, enjoyable horror world. Don't listen to the critics...well, if you consider me a critic, listen to me, but ignore the naysayers! The Big Year succeeds as a sweet, funny film, that is much better than it's Tomatometer score would let on (40%). A subdued Steve Martin, a sweet Jack Black, a standard Owen Wilson, Rashida Jones, Dianne Wiest, Brian Dennehy, Rosamund Pike, Anjelica Huston, Joel McHale, Kevin Pollack, JoBeth Williams, and Anthony Anderson. Wow! The cast alone should have your interest peaked...I went in not having seen the trailer, only having heard through the scuttle that the film was about birdwatching, or birding. 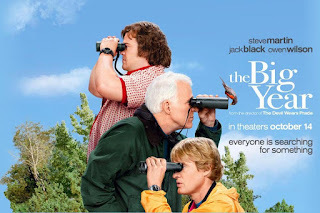 It is in fact based on an actual contest, called appropriately, The Big Year, in which birders try and see how many different species of bird they can see or hear within a calender year. Barry Bostick (Wilson) is the reigning birding hero, holding the world record and being the pimp daddy of the birding community. He is as vain as they come and he is fearful of his record being broken. Among those set to challenge him, is Stu Priessler (Martin), a recently retired high-powered CEO, who has dreamed for years of setting off on his own big year. Brad Harris (Black) is a dreamer. A computer debugger by day, he is mostly broke, and like Stu, is in it for the love. These three actors have given great performances in the past, and while I think they are good but not great hear, they play off one and other perfectly, and it synergistically combines to something much better than most people are giving this film credit for. Being a stranger to the birding world, I was happy to learn so many aspects of this sport, albeit it a dramatized version of this world. In addition to being a comedy and a drama, there are elements of thrills thrown into the mix, as whether one is engaged in a Big Year, is typically kept secret, for fear that other birders will set to derail them in their quest. This is a fun story and for what I recall, a family friendly one. Minus a few S-bombs and a scantily towel wrapped Rosamund Pike in one scene, this is a pretty clean film. It is rated PG, which is rare for any mainstream film these days. The comedy is effective and it is clean. Give The Big Year a chance. It has heart and this cast superbly comes together to make something of a Christopher Guest effort, without the tongue-in-cheekedness than comes with his mockumentary filmmaking. David Frankel is a competent director and his previous efforts include Marley and Me and The Devil Wears Prada. In my opinion, he has created a very accessible film, written for the screen by Howard Franklin based on the book by Mark Obmascik. 4 of 5 Horns for this very sweet and enjoyable film. The timing was right, so I subjected myself to this film, starring Team Jacob aka Taylor Lautner. 4% on Rotten Tomatoes....4%. This is a better film than 4% indicates and better than the IMDB 3.8/10 as well. John Singleton is a talented director. I had no idea until moments ago that he directed this film. His experienced hand definitely elevated this picture from mundane to mildly exciting. And for a mildly exciting film, in general I have no real complaints. Taylor Lautner is a tweenagers dream, Lily Collins is an up and comer (she'll be the other Snow White next summer), and the experienced cast like Alfred Molina and Sigourney Weaver actually show up and don't just appear to be grabbing a pay check. The gist is Nathan (Lautner) is assigned a school project on Internet websites. In his web travels, he comes across a website that is dedicated to missing children. He finds an age progression photo of a boy that looks exactly like him. Nathan confronts his mother and she admits that while a complicated situation, she and Nathan's Dad have only ever acted in his best interest. As this is happening, some black suited baddies show up and kill both his parents, and he becomes the pursued. From the moment of the initiating events, Nathan is pursued by two groups, a terrorist and his endless supply of heavies; and the CIA. He doesn't know who to trust and the story is coherent and the action decent, if not a little underused in terms of thrilling action set pieces. A short but effective sequence takes place at the stadium of the Pittsburgh Pirates, with a game underway. While coming off as a bit needy for some cheap action, Nathan's parkour escape run is actually well choreographed. There a few cheesy bits of dialogue, but they are not overly distracting. 3.5 of 5 Horns for this a mindless but enjoyable film that would likely look better on the big screen than at home, so if you can work it in, check it out. Give preference to more competent films, but if you must, don't hate yourself for seeing this film. I am often accused of being overly generous when rating films, but I really think this is not a terrible film. Perhaps I went in with a negative attitude given the poor reviews and awful box office performance, but none the less, I liked it. 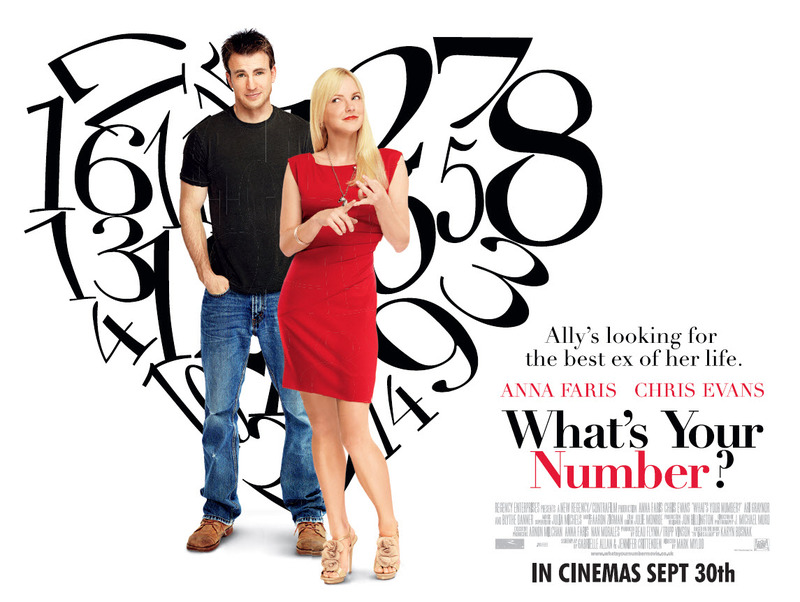 The real shame about this movie is that Anna Farris and Chris Evans are two talented actors, both with solid comedic chops, with a great sense of on-screen chemistry. How is that a shame, you say? 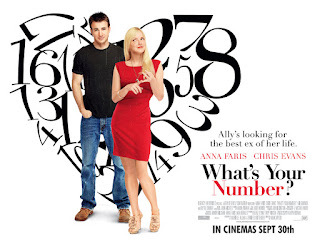 Because all that good couldn't save this flick from being just another entry into the romcom trope. This was an r-rated movie, and while they touched on some decent adult humor, they made the mistake that decent raunch comedies have avoided...they had too many schlocky romcom staples. The Break Up, for its darker moments, was one of the first films to have boy not get girl. It wasn't exceptionally successful, but I applaud its courage. Bridesmaids had a subtle romance intermixed with the hijinx, letting your affection for the on-screen couple develop just as such, with a deft sense of underwhelming. These chick flicks that focus on the love story, with the love story hijinks first, and the comedy second, will always fall prey to this pitfall. One For The Money, starring Katherine Heigl trailered before my viewing of Number. What a pile this looks like, and its just another notch in Heigl's long list of clusters that are destined for disaster. This film can't be good, but it will be profitable, and that's the problem. That it is based on Stephanie Plum novel by Janet Evanovich, may save it. And for the more gritty tone, it will only succeed if they go dark. Keep things too light and bouncy, and it will just be the same old same old, regardless of the source material. There were decent moments in Number, both funny and sweet, but I attribute that to the pure affability of Farris and Evans. 2.5 of 5 for What's Your Number. See it at home, at best, and only if you've already seen all of the decent comedies that have romance at the core. ComRom's, I say. Let's start putting the funny first. That's all for now. Here's hoping that Paranormal Activity 3 will give us a decent horror entry for this Halloween season. If not, there's always Human Centipede 2: Full Sequence. If you get a chance, Centipede is playing at the Screenland Crossroads. I have a feeling it will be the only spot in KC courageous enough to show it.